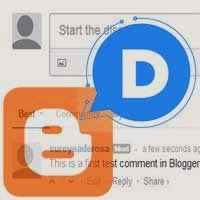 Blogger sync problem -Why DISQUS comments displayed on Disqus Admin is not displayed on Comment section of Blog's page? Why I am not able to view the old comments from blogger, even though I had imported the comments and enabled the Sync option on Admin > Discussions > Import > Blogger. able to access this blog. I had checked the "Who can comment" settings in Blogger. It is set to "Any one". To help us take a look into why comments aren’t showing, kindly forward us the shortname that is having trouble. Thank you for that additional information and please let us know if you have any other questions by replying to this thread. If you have any separate questions, please start a new case with us at http://disqus.com/support and we’ll be happy to help. As per their request i sent my short name and other credentials. We’ve taken a look into this and it appears that imported comments are appearing on your site. Thank you for that additional information if you need further assistance and please let us know if you have any other questions by replying to this thread. If you have any separate questions, please start a new case with us at http://disqus.com/support and we’ll be happy to help. I could see the comments. Glad to hear you’ve been able to locate the cause of this issue. Thanks for providing that information about Blogger redirecting to a country-specific domain. The fundamental issue here is called thread splitting. Basically, the first moment a post is loaded Disqus grabs the URL and associates a unique thread ID to that URL. For example, if you preview a post before publishing, Disqus will associate that preview URL with the thread ID. **note that we do recommend also specifying the disqus_url in addition to the disqus_identifier. To fix existing threads, you’ll want to use the URL map migration tool. As you know Blogger a couple of years back has rolled out this upate: The website address of a blog you're reading may redirect to a country-specific domain. For example, if you're in India and viewing [blogname].blogspot.com, you might be redirected to [blogname].blogspot.in. The country-specific domain should correspond to the country where you're currently located. Read for more details : Why blogger blog redirects to a country specific domain and how to view blog in blogspot.com domain?